Does Wilderness have a value of its own? For most people wilderness and wild places are an abstract, intangible entity that most have never experienced, therefore cannot understand. For those who have they are never the same, an indelible mark is left upon their soul. Paradoxically wilderness can be both daunting yet ethereal filled with both danger yet also a delicate beauty. Once immersed in the baptism of the wild lovers of the wilderness become lifelong advocates of wild places. My early exposure in the boy scouts to wilderness was a life changing experience. One backpacking trip into the High Sierra opened up a window for me to a whole new world. I was hooked; high and wild places were destined to be my home. As a young adult I moved to Alaska, and I lived on the banks of the Copper River, I would look to the east and marvel at the fact that there was nobody out there for five hundred miles it was a great feeling. It wasn’t that I could use that five hundred miles for anything as there were no roads or anyway to get in there except airplane, but it was just nice to know all that wild country was right there, A wild subjective ethereal ambiance crossed the Copper River and enveloped me. 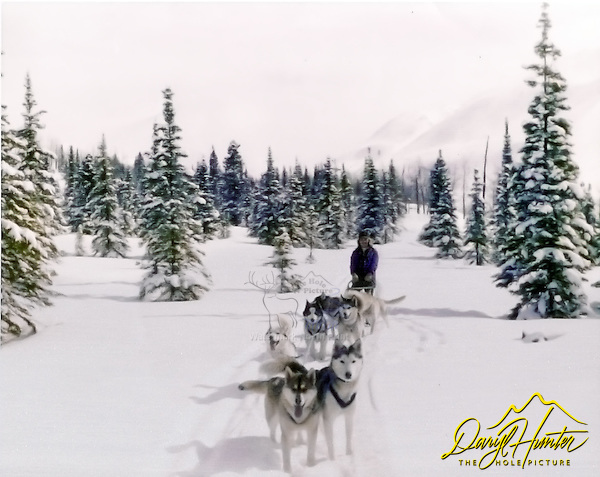 After moving to a different part of Alaska I soon learned how to penetrate the wilderness by dog team, and traveling by dog sled I didn’t feel as if I were traveling through the wilderness, I felt as though I was a part of it. 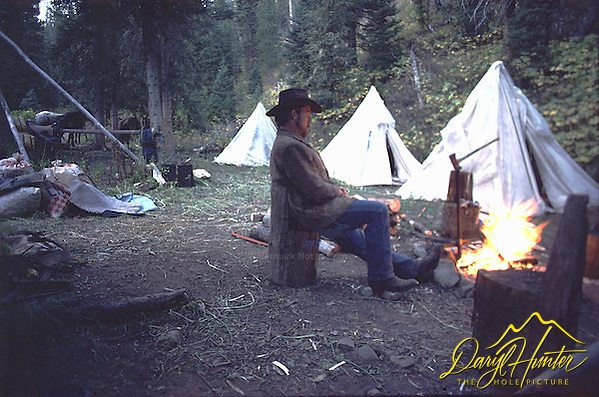 I later moved to Jackson Hole Wyoming, another locale surrounded with wilderness, the nineteen million acres of the Greater Yellowstone Ecosystem. The stunning scenery and great wilderness beckoned. The wilderness although the largest intact ecosystem in the lower forty eight states was only a fraction of Alaska’s but wonderful just the same. This time my ticket into the wilderness was by horse, a great way to experience the American West that makes you one with the scene in which you are traveling. Yellowstone was just up the road from Jackson Hole and Grand Teton National Park. Yellowstone is a 2.2 million acre wilderness bisected by a small network of access roads so Yellowstone visitors can peer into the wilderness much as I had from the banks of the Copper River albeit on a smaller scale. To Yellowstone’s roadways come the creatures of the wilderness to visit. Although Yellowstone’s wilderness is a fraction of Alaska’s, the amenities of Yellowstone’s wilderness are much accessible in a much smaller footprint and you don’t need a plane or dog team to experience it. 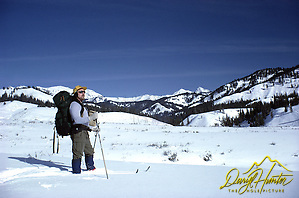 The Greater Yellowstone Ecosystem is one of the world’s foremost natural laboratories in landscape ecology and geology. There is a growing belief in this country that our wilderness areas are off limits to human use, and this just isn’t true. 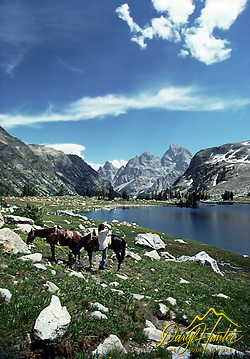 In wilderness areas you can ride a horse, hike, fish, raft, kayak, canoe, hunt and dog sled, as long as your propulsion isn’t mechanized it can be used. If you are healthy, you can get in there. For the infirm and aging wilderness aficionados can hire outfitters to get them there. Wilderness is a part of American history; however, people have held various perspectives of wilderness’ primeval character throughout time. Pioneers had a different perspective than we wilderness aficionados have today. During the settlement of America, wilderness was something to be feared. One settler in the early 1600s stated, “Wilderness is a dark and dismal place where all manner of wild beasts dash about uncooked.” Three centuries later wilderness is perceived by many as the ultimate source of health both terrestrial and human. In 1964 our nation’s leaders formally acknowledged the immediate and lasting benefits of wild places to the human spirit and fabric of our nation when they enacted The Wilderness Act of 1964. The United States was the first country in the world to define and designate wilderness areas through law. Slowly, public views of wilderness have shifted more to a protection orientation. This was not the Nation’s first foray into wilderness preservation as Yellowstone was created in 1872 with many of the same goals. Our egocentric, consumptive national mentality that fails to factor for posterity must be reconsidered. Sustainable yield is as impossible a concept for our government to grasp as is spending within its means. Maybe we should factor Gods creation into the equation when we have a grove of easy money old growth timber in their cross hairs. That said we don’t need to cut off our nose to spite our face. We still need stuff but harvest and extraction must be done in an acceptable manner. I have good friends who are loggers who are angry about how the local forests have been mismanaged by the Department of Agriculture. The largest timber sale in United States history was here (Island Park, Idaho) and required Louisiana Pacific to build a mill because the sale was bigger than the local logging companies could handle. Politics wouldn’t allow the mill to close after the harvest was complete so LP logged longer than common sense allowed leaving nothing left for the loggers who had been here since their great grandfathers settled the place. Those sons of the pioneers who wished to continue in their inherited profession had to leave the area. 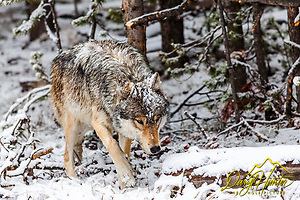 Thank God for Yellowstone and the surrounding wilderness areas because had they not been protected, pandering politicians and LP would have had ten more good years of cutting and the world would be a poorer place because of lack of diversity. At one time, you could see Yellowstone Park boundary from the space shuttle because of the over logging. If Louisiana Pacific hadn’t been brought in to over log the area, there would still be standing marketable timber for our former local loggers. Sustainable yield harvests must become an acceptable policy. As John Muir once said: “Everybody needs beauty as well as bread, places to play in and pray in, where nature may heal and give strength to body and soul “ ~ There are places on this earth that deserve the most restrictive protections, microcosms of untouched wonder, beauty, unbelievable hunting and fishing. As much as I would like to be able to buy a quarter section of land on my favorite mountain, log it to pay it off and have my own little heaven on earth I’m glad that I can’t because; hopefully, my great grandson may be able to go up there and shoot his first Elk where I shot mine, as well as be able to see the land the way it was 500 years ago. That does have a value of it’s own. Posted on Saturday, March 3rd, 2012 at 7:19 pm. Filed under: My Muse Tags: about, about wilderness, alaska, controversy, Gros Ventre, politics, pristine, Wilderness, Wilderness area, wildlands, wyoming	RSS 2.0 feed.